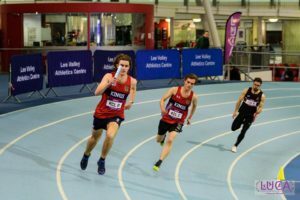 Last Saturday, LUCA descended on Lee Valley for what promised to be another fantastic Indoor Championships, with 236 athletes entered across the board. 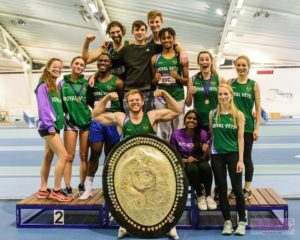 Incorporating both the University of London and United Hospitals Championships within the overall LUCA Champs, the day saw a range of excellent performances throughout, as well as some unexpected results. 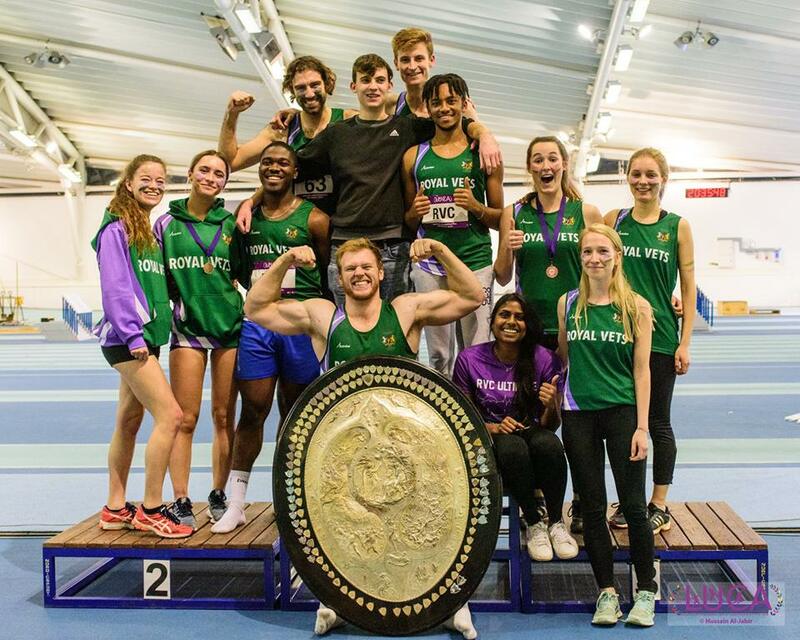 Brunel had never won a LUCA title before and it was widely expected that the fight for the David Morgan Cup would be between the much larger universities of UCL (37 athletes) and King’s (33). 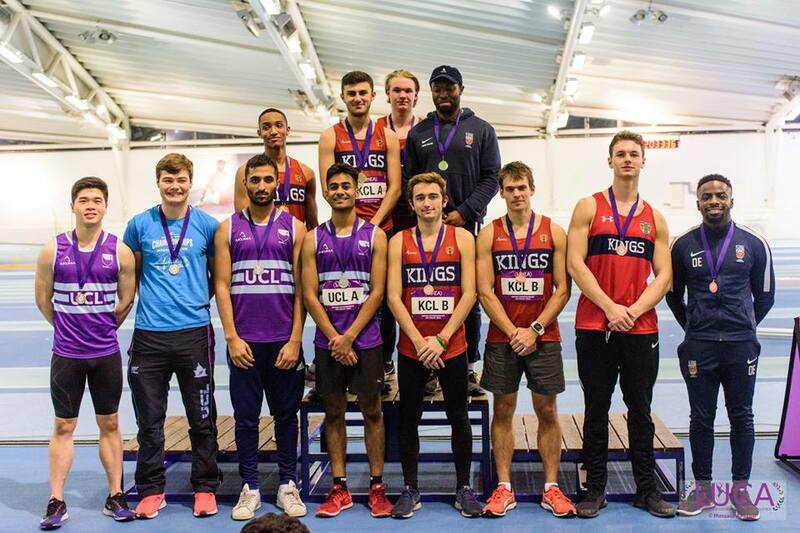 However, a team of 10 from the Uxbridge based uni dominated the sprints, jumps and shot to claim some unforeseen first LUCA silverware ahead of King’s and UCL in 2nd and 3rd respectively. 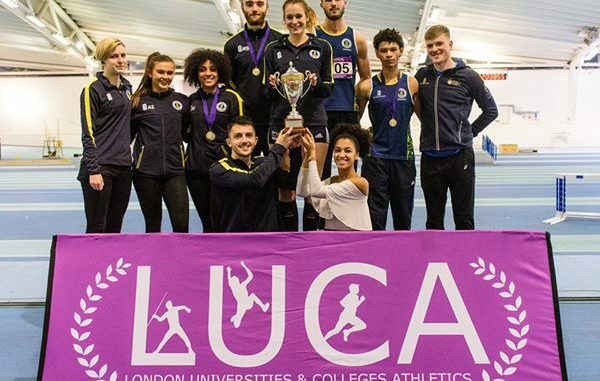 Remarkably, of their 10 athletes, 9 scored LUCA points and 7 won their event to give them a runaway victory, 13 points ahead of their nearest challenger. 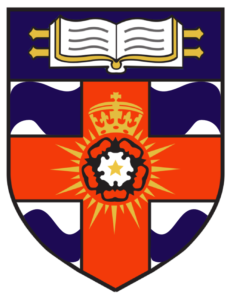 The University of London Champs was fairly comfortably won by King’s, 13 points ahead of UCL, with the RVC in 3rd. Meanwhile, the UH Champs is always hard to call and so it proved again. 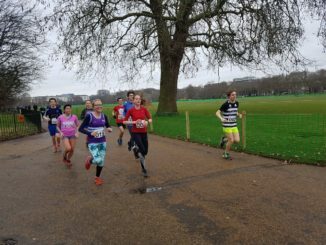 Ahead of the relays, St George’s had a lead of 2 points, but potentially not including a men’s HJ in which Vets took 1st and 3rd medics. 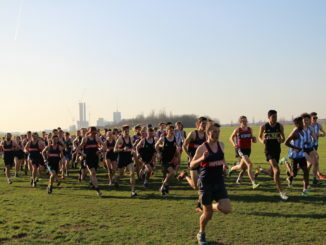 It therefore left a lot riding on the relays, and it was decided there, as RVC’s teams pipped both George’s men and women. It was a deserved first UH title for the Vets, who have only been a member of the United Hospitals since 2009. 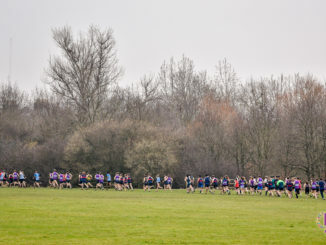 Central to RVC’s success was the duo of Sally Cowler (16) and Dan Cork (10), who between them won an absurd 26 UH points. Cork, not content with that, also threw his way to a new championship record in the shotput, his 15.29 placing him 18th man in the UK for 2018. 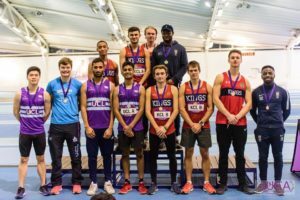 Other individual highlights included 60m and 200m double victories for Brunel’s Remi Jessop and Middlesex’s John Adediji-Johnson. Impressive wins also came from the UCL pair of Hugo Fleming, who took the men’s 800m by 6 seconds in 1:55.63, and Megan Wilson, who won the women’s 3000m by over 40 seconds in 10:34. 3 athletes impressively won double gold to place them joint 1st in the ‘MVP’ standings. 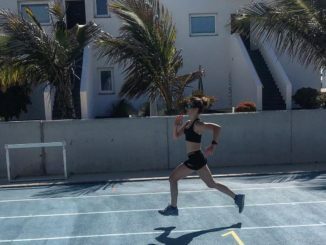 As well as Adediji-Johnson and Jessop’s joint sprint victories, Katie Olding of Imperial’s scooped 2 middle distance wins in the 800 and 1500. Mention must also go to Kerstin Pohlmann of King’s whose 1st, 2nd and 3rd places in the triple, long and high jumps gave her 4th place with 7 points. 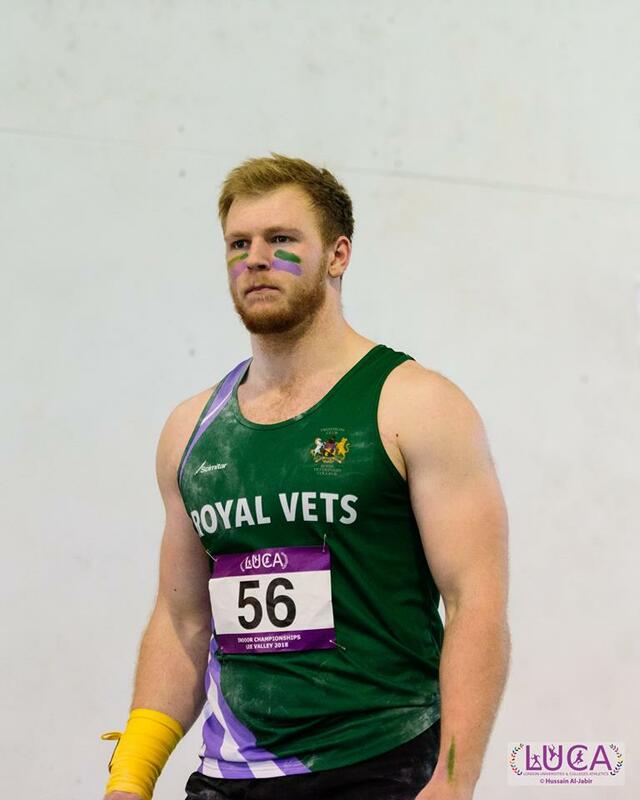 As well as these stellar performances, it was also great to see many trying events for the first time – I think LUCA meets provide a platform for this that is pretty unique amongst competitive track and field meets. We hope you all enjoyed this latest edition of Indoors and look forward to seeing you at Outdoors! 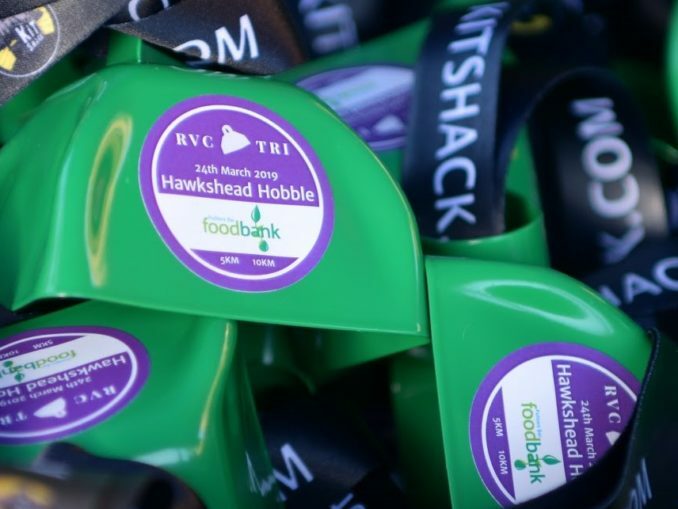 Full results from Saturday can be found here, and make sure to check our Facebook page for photos once they’re up (hopefully in the next few days).